Donald E. Nichols, DPM, is a triple board-certified podiatric physician with more than 20 years of experience treating systemic effects, deformity, and trauma of the foot and ankle. 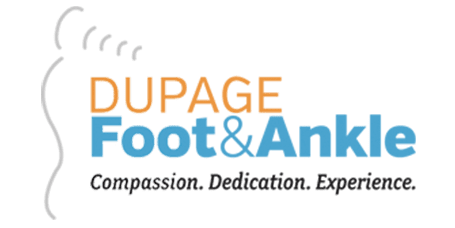 Dr. Nichols is especially knowledgeable about Charcot foot and flat foot reconstruction and specializes in the advanced diagnosis and treatment of all foot and ankle related conditions at DuPage Foot & Ankle, LLC, with three locations in Oak Brook, Wheaton, and Hinsdale, Illinois. Dr. Nichols earned a bachelor’s degree in psychology and a minor in pre-medicine from the University of Illinois. He studied medicine at the Dr. William M. Scholl College of Podiatric Medicine in North Chicago, Illinois, and completed his residency in podiatry at Lincoln West Hospital in Chicago. For more than ten years Dr. Nichols was chairman of the DuPage Medical Group Department of Podiatric Foot and Ankle Surgery. He also previously practiced at Northwest Podiatry Center in Wheaton and Roosevelt Foot and Ankle Center in Washington. Dr Nichols is on staff at Hinsdale Hospital, Central Dupage/Northwestern Hospital, Advocate Good Sam Hospital and Mercy Hospital. He's the Podiatric chairman at Oak Brook Surgical Centre, and is also affiliated with Aiden Center for Day Surgery in Addison and Hinsdale Surgical Center in Hinsdale. In addition to being a skilled foot and ankle surgeon, Dr. Nichols is a speaker, teacher, and Rotarian. He’s also the co-founder of an organization that conducts annual medical missions to Peru in South America. From medications to orthotics and surgical intervention, Dr. Nichols offers attentive care for a diverse group of patients of all ages and from all walks of life. He guides men, women, and children through the decision-making process so they’re involved every step of the way, offering individualized treatment plans and in-depth consultations that emphasize conservative care whenever possible. At DuPage Foot & Ankle, Dr. Nichols utilizes the latest technology, including 3D imaging, custom orthotics, and on-site X-rays. Dr. Nichols is a skilled medical specialist you can rely on for effective and compassionate podiatric care. "Experienced and highly trained surgeons providing the highest level of compassion and treatment of the foot and ankle. Thank you." "Dr. Nichols is a great doctor! Very personable and knowledgeable. I have recovered quickly, easily, and love my results!" "Very fast getting in, true to appointment time, and great work with both my husband and son. I would highly recommend." "Dr. Nichols performed the surgery, tightened my ligaments, and cleaned up the arthritis. With follow-up physical therapy my ankle got stabilized." "Dr. Nichols provides great podiatric care! He has years of experience yet is up to date on current treatment options." "I was so impressed that Dr. Nichols stopped on over to take a look. He was very caring, knowledgeable, and also has a wonderful sense of humor." "I was very impressed with the high tech check in system, record keeping, and the technology used for X-ray." "Dr. Nichols has been my podiatrist for over a decade....he has saved my leg from being amputated on at least three separate occasions." "I have always appreciated the time and care he has provided me and will continue to see him whenever I have a foot issue."